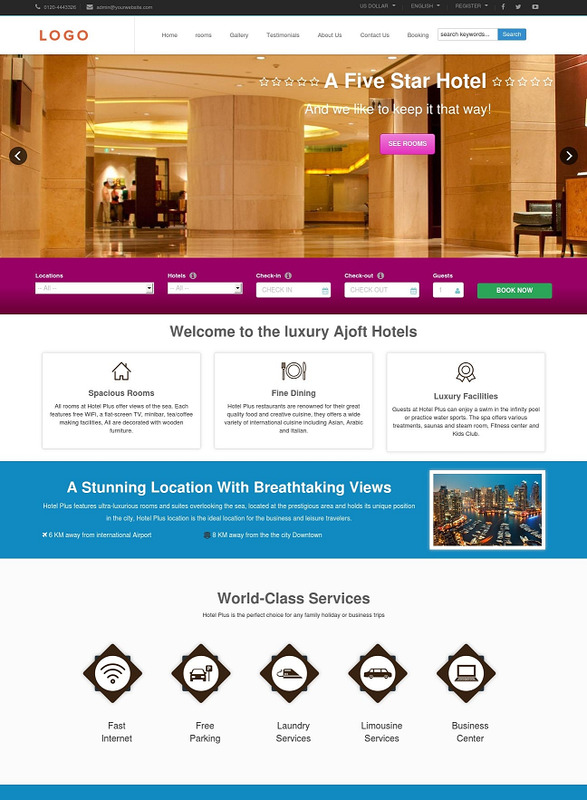 otelare is an advanced hotel management and online booking/reservation portal script. This software is the fully functional PHP solution to manage small to medium size of hotels, holiday flats or guesthouse. Our hotel reservation system allows you to start online reservation and customer management in minutes. Hotelare has been specially designed to simplify the task of hotel booking online and management of hotels and customers.. Hotel owners can manage room types, hotel rates and booking options. Powerful admin panel and online reservation manager at the back-end includes invoices and reports functionality. Visitors of Hotel portal site will be able to search rooms availability with an online booking reservation system. They can also view rooms inventory, check availability and book reservations in a real-time. Our hotel reservation system is powerful enough to manage entire hotel rooms booking life cycle along with a advanced front end dynamic website. With the help of hotelare software, you can get a beautiful dynamic responsive website for your hotel, you get a fully automated hotel rooms reservation system, your customers get a complete self service module and you get complete reporting about your hotel bookings and revenues.